But the reality is, Americans aren’t saving enough for a comfortable retirement. 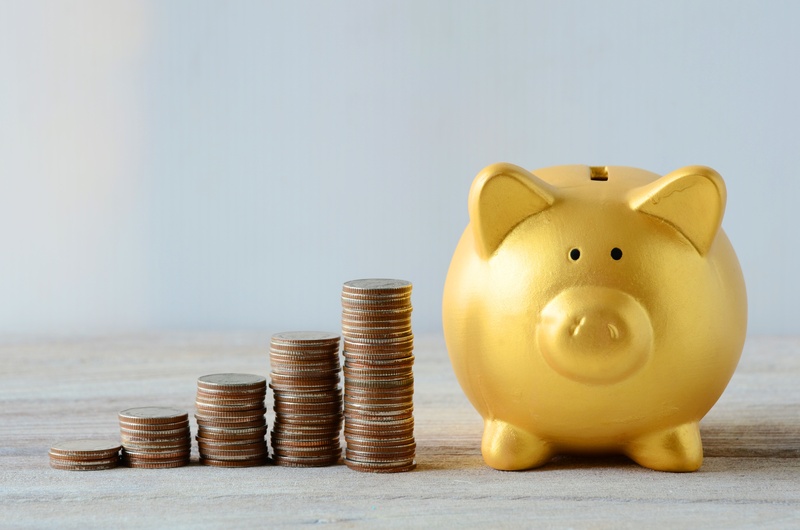 According to analysis of data collected by the Federal Reserve in 2016, the average American household has a median balance of $7,000 and an average balance of $30,600 in their savings. And retirement accounts aren’t necessarily better. Although, according to 2017 data, as reported by Vanguard, the average American retirement account balance is nearly $104,000. But when factoring out accounts with larger balances, the median retirement account balance is at $26,000. So, if you’ve been dreaming of owning your own business, you’re wondering, “Is it possible to be an entrepreneur and still manage to save for the future?” The answer is a resounding YES! The truth is that you can do both. AND, your 401(k) or IRA may be the answer to funding your dream while continuing to grow your nest egg. Why did you start saving in the first place? Likely it was to save for the events that occur during your life journey. And, starting a business, for many, is an important event in the life journey. Now is an ideal time to learn more about Rollover for Business Startups (ROBS) funding, how it works, and how it can provide you with the needed funds for your dream business. Understanding your options is a smart way to get your business off the ground faster. You will soon learn the best-kept secret for funding your dream business may be ROBS funding. ROBS business funding is a legal, safe and economical way to leverage your hard-earned resources to fuel your entrepreneurial venture. While it involves only a few necessary steps, it is recommended to work with an experienced ROBS provider to help keep the plan in compliance. Here is a closer look at how they are structured and how they benefit your business. A ROBS is not a loan or withdrawal from your 401(k) or IRA. It is a rollover of existing retirement funds into a new retirement account. A ROBS arrangement can be started with any qualified retirement vehicle, the only exceptions being an Inherited or Roth IRA. If you have decided to leave your job, your retirement funds from your former employer can be rolled into your new business. But what if you’re not ready to leave your job? If your company’s plan allows for in-service withdrawal with rollover provisions, you can also use a ROBS arrangement to open the business and continue to work for your current employer. Either way, the steps for a ROBS remains the same. Here is how it works. The first step is to establish your business as a C corporation. Under a C corporation structure, the corporation or business is taxed separately from its owners. The tax laws for C corporations allow for such businesses to sell shares of the business to a retirement account. This is a critical factor in using the ROBS model. If your business is structured as a limited liability company (LLC), limited liability partnership (LLP), sole proprietorship or S corporation, you can not use a ROBS arrangement. The next step is to create an employee retirement plan for the new company. There are several retirement plan options available. Choosing the right plan involves an understanding of how many employees you expect will qualify for the plan and how many highly compensated employees you will have. Bank accounts for both the corporation and the retirement plan need to be created, and you will also need to hire a custodian to manage the funds in the retirement account. The rollover process comes next. You will need some help with the paperwork to ensure that your funds are rolled over properly and established in the new company’s retirement account. The process is generally seamless but can take a few days based on the custodian you hire to administer the funds. With a newly funded retirement plan in the new company, you can purchase stock shares in your new company. This is achieved by having the company issue ownership shares in the corporation. The number of issued shares is dependent on what percentage of the company is being financed by the plan. In some cases, this is 100 percent, but it may be less if other sources of funding are used in conjunction with the ROBS arrangement. Once you have access to the capital, you can use that much-needed cash to start or expand your business. Additionally, you will now have a retirement plan that will allow you to continue building wealth for your actual retirement. As a small business owner, you have several choices when it comes to your financing your venture. ROBS offers several major advantages over other structures. With a ROBS structure, you can move and use your retirement assets without fear of penalty for early withdrawal. You avoid the 10 percent IRS early withdrawal penalty that would otherwise affect your resources. Because your funds have moved from a qualified plan into another qualified retirement plan, you continue to defer taxes until time of distribution. When you use your 401(k) or IRA to finance your business, you will avoid taking out bank loans. This will save you the stress of preparing and filing for your loans. It will also provide you with the freedom from incurring costly small business loans, which can carry higher interest rates. You will also have the flexibility of knowing your operating funds will not be saddled by expensive monthly loan payments. When you use your 401(k) or IRA to finance your small business, you will not be influenced by bankers or outside investors dictating how the funds are to be used. Instead, you will have the flexibility to use the funds for what your business needs most. You will not have worry about your funding strategy having an impact on your personal credit rating when you use ROBS. There is no credit check for when you acquire the funds and no risk to your credit rating for failure to pay back loans on time. Because you are using your own money, access to your retirement funds isn’t dependent on your credit score. While there are certain steps that you will need to take to secure funding, when you use a proven partner to help you with the paperwork, the process of using ROBS is rather simple. In a matter of weeks, you will have the structure you need and the funds that allow the business to move forward. And, your ROBS provider will keep the plan compliant, filing the required Form 5500 and other necessary documents. You can use ROBS funds for a variety of business purposes. The available funds can be used to purchase an existing business or start your own. It can also be used to recapitalize an existing business, giving you funds to shift your strategy or make needed investments. PLUS, you can use ROBS funding as a cash equity injection for an SBA loan. Many new businesses struggle until they have sold goods or services. With a ROBS solution, you will be able to have cash available from the start to purchase inventory or supplies, pay employees, or generate marketing about your new venture. Plus, if you need a cash injection for an SBA loan, a ROBS plan can provide you with the capital required for the loan. This way, you will still have your personal savings for your living expenses. To begin your journey to small business ownership, it makes sense to work with a trusted professional who is in the business of supporting entrepreneurs. Benetrends Financial is the innovator of ROBS funding. Benetrends began offering the Rainmaker Plan® in 1983. Since then, Benetrends has helped thousands of entrepreneurs make smart choices about how to fund their small businesses. In-house experts. Our experienced and trained staff have worked with countless entrepreneurs. We understand the complexities, processes, and guidelines to get you your much-needed money quickly. We also understand the emotions that come with considering starting your own business and will provide you with support and encouragement along the way. Customization. We are not a cookie-cutter company with a one-size-fits-all approach. We will work closely with you to understand your business and your finances before crafting a solution that works to get you access to capital quickly. Compliance. Tax guidelines concerning the establishment of retirement funds and the use of retirement fund monies to purchase stock in one’s own company are complex. Remaining compliant is easier with a proven leader that knows the tax regulations. Services. In addition to providing the necessary tools for you to use the ROBS strategy, Benetrends offers additional services to support your growing business. In addition to retirement plan services, Benetrends partners with vendors who offer payroll management, insurance, legal services, credit card processing needs and more. Starting your own business is a heady and exciting time. Using the right structure and funding strategy allows you to realize your dream that much faster. To learn more about Rollover for Business Startups, download The Definitive Guide To 401(k)/ROBS Business Funding today.